- B.Sc. in Law 2009: Department of Law, College of Law and political Sciences, Salahaddin University, KRG. - High Diploma in General Law2013: Department of Law, College of Law, University of Masura, Egypt. - M.Sc. in Criminal Law 2014: Department of Law, College of Law, University of Masura, Egypt. - September 2009: Assist. Law Practitioner, Ministry of Justice. - October 2009: Manager of Choman City Notary Office, Ministry of Justice. - April 2010: Manager of Choman City Registration Office, Ministry of Justice. 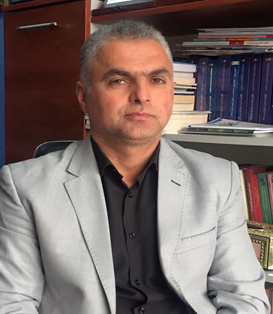 - June 2014 - Current: Lecturer in Soran University, Faculty of Law. - Research Methodology, Soran Technical Institute, Department of Management and Business. - Execution Law, Soran Technical Institute, Department of Management and Law. - General Penal Law, Faculty of Science, Soran University. - Specific Penal Law, Faculty of Science, Soran University. - Criminology and Punishment, Faculty of Science, Soran University. - Othman M. A. and Ghanam M. Gh (2014). The Extent of Legality of the Use of Weapons by Police and Security Forces as for Carrying Out the Job Duty - An Analytical and Applied Study. Mansoura University, Journal of Law and Economic Research. - Othman M. A. (2016). Criminal Responsibility for Obeying the President. Soran University, Journal of Twejar. - Students Scientific Conference, Soran University, 2015-2016 and 2016-2017. - Conference Committee Member of ( ), Ministry of Higher Education and Ministry of Culture and Youth, 2017. - The Present and the Future of Mother Tongue in Kurdistan Region, Soran University 2017.